Newsworks, the online home of WHYY News and its network of journalism partners, reported on December 15 that the Pittsburgh (PA) City Council enacted an ordinance that will prevent landlords from discriminating based on a renter’s source of income (SOI). The ordinance is designed to protect households who are seeking rental housing with a Housing Choice Voucher (HCV), a rental-assistance program for low-income families. “Voucher holders often face blatant discrimination when searching for housing. Source of income discrimination makes it increasingly difficult for voucher recipients to actually use their vouchers,” said the ordinance’s sponsor, Councilman Rev. Ricky Burgess. Pittsburgh City Paper provides one story to illustrate the problem. It describes the efforts of Tanelle Robinson to find rental housing using an HCV, also known as a Section 8. She met a dozen landlords and asked the typical questions: Is the neighborhood safe? Are utilities included? Is there a park nearby? She always waited until the end to ask if they accept government assistance. Said Robinson, “I don’t tell people over the phone I have Section 8.” The article adds that Robinson finds that it’s best to get to know a landlord before popping the question. The ordinance’s proponents maintain that it’s difficult for low-income people to find affordable rental housing in Pittsburgh, especially if landlords can freely refuse to consider HCV applicants. By enacting this ordinance, Pittsburgh joins 11 states, the District of Columbia, and more than 40 municipalities in outlawing this form of housing discrimination. A rapidly increasing number of jurisdictions are adopting SOI protections as HCV households find themselves blocked from certain areas and steered into others. SOI discrimination is often a smokescreen for illegal discrimination based on race, disability, or family status. A recent story on NPR’s Marketplace program illustrates the problem. In New Orleans, most HCV households are African American and many landlords in majority white neighborhoods opt not to accept HCV households. Lacking any real choice, many African Americans are forced into majority African-American communities. A 2008 HUD study suggests that SOI protections can help. The federal government provides only minimal help with the problem of SOI discrimination. In 2010 HUD issued guidelines to their grantees that they must comply with local and state laws that bar SOI discrimination. Properties that receive Low Income Housing Tax Credits are also required to accept HCV households if the IRS-approved rent falls within the affordability standards of the local housing authority. Pittsburgh-area landlords experienced a second blow this week. 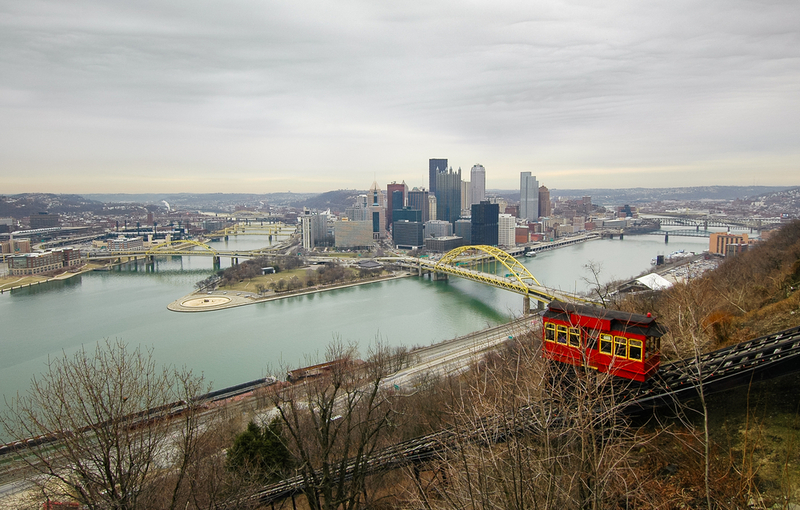 Besides the new SOI ordinance, the Pittsburgh City Council adopted a Rental Registration program with mandatory inspections and registration fees, which seems likely to trigger landlord resistance. The Tribune Review reports that James Eichenlaub, executive director of the Apartment Association of Metropolitan Pittsburgh, described the council’s action as a “declaration of war” on landlords. Eichenlaub maintains that state law and the city’s Home Rule Charter prohibit Pittsburgh from levying this fee. On a related matter, the Pittsburgh Post-Gazette reports that the Apartment Association of Metropolitan Pittsburgh has just this week filed a lawsuit against Penn Hills, a municipality just east of Pittsburgh, for a landlord registration program enacted back in March. It is reasonable to expect more litigation. Austin, Texas provides one example of how landlords can fight back against local SOI ordinances. Following passage of an SOI ordinance, the Austin Apartment Association got the Texas legislation to strip municipalities of the authority to pass SOI laws. To preserve what remains of the city’s affordable housing stock, a proposed San Francisco law would give nonprofits the first chance to buy multifamily buildings when they are for sale.